Nate and his mother are running away. Fleeing from an emotionally abusive situation, they hide out in an abandoned cottage in the middle of a forest. Though it's old and run-down, at least it's a place of their own. Then Nate's mother heads off for groceries and doesn't return. Has she run into trouble, or simply abandoned him? He is left alone and afraid, with the dark closing in on him. But comfort can come from the most unexpected of places: like a strange girl trying to solve the mystery of a treasure hunt, and the reappearance of a friend from his past. Will Nate find the bravery he needs to face down his fears, survive on his own, and ultimately illuminate his future? 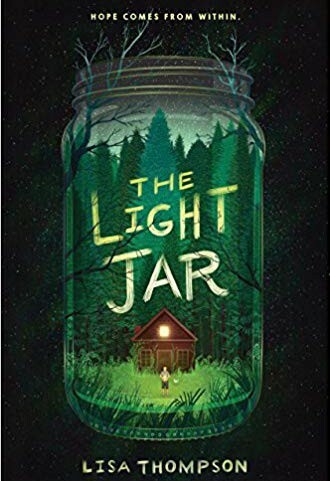 The Light Jar is a captivating story of fear and hope, loneliness and friendship, and finding the light within, even in the darkest of times. Jess's imagination has always been her best friend. She's trained it to feel as real as it possibly can, especially in the stories she writes for Davie -- the young boy in a coma who is her only friend. But nothing is as real as the world she'll find. One night, tired of peeking at the other children beyond her curtained house, she sneaks out to explore the empty playground she's longed to visit. 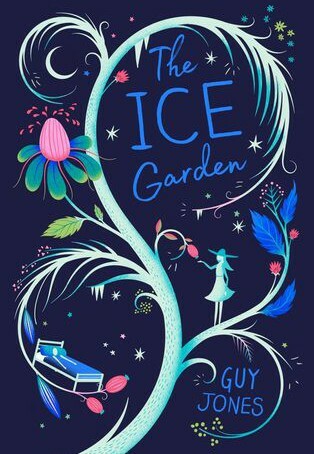 Beyond, she discovers a garden made entirely of ice. This is her place: a Narnia with flying elephant mice and ice apples with shining gold liquid inside. But Jess soon discovers that she's not alone. And her presence there could be destroying its very existence. For once, operations at the enormous zoo/theme park appear to be running smoothly (except for the occasional herring-related mishap in the penguin exhibit) and Teddy Fitzroy is finally able to give detective work a rest. But then a local lion is accused of killing a famous dog—and the dog’s owner, an inflammatory radio host, goes on a crusade to have the cat declared a nuisance so it can be hunted. 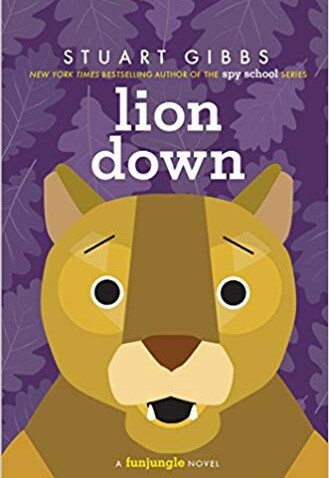 But it looks like the lion might have been framed, and a renegade animal activist wants Teddy and Summer to help prove it. Soon, Teddy finds himself wrapped up in the middle of his most bizarre, hilarious, and dangerous case yet. 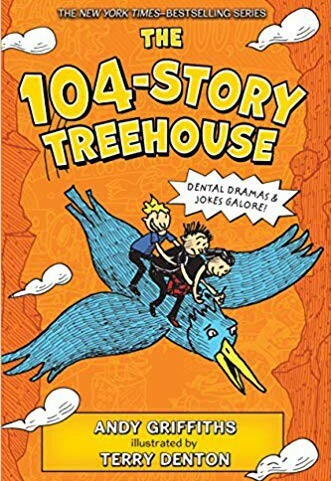 New York Times-bestselling team Andy Griffiths and Terry Denton invite readers to come hang out with them in their 104-Story Treehouse―the eighth book in the illustrated chapter book series filled with Andy and Terry's signature slapstick humor! Andy and Terry live in a 104-story treehouse. (It used to be a 91-story treehouse, but they decided it was still missing a few things.) It has a never-ending staircase, a burp bank, a deep-thoughts thinking room, Mount Everest, a mighty fortress reinforced with extra-strong fortress reinforcer, and a money-making machine (that also makes honey!). When Andy has a toothache that hurts so bad he can’t write any jokes for their new book, Terry knows just what to do: buy a Joke Writer 2000™ to write the jokes for them! All they need first is some money from their money-making machine and then it’s off to the store. It’s a foolproof plan―a Terry-proof one, even! 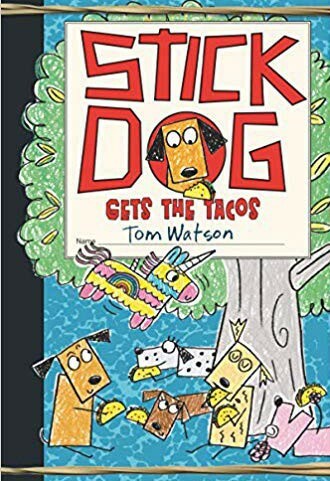 Perfect for fans of Big Nate, Diary of a Wimpy Kid, and the previous Stick Dog books, Tom Watson’s hilarious series continues with a backyard adventure complete with crunchy tacos, squishy guacamole, and flying unicorns! HEY! WHAT’S THAT IN THE TREE? IT’S AN EMERGENCY! When Karen sprints into Stick Dog’s pipe and declares an emergency, Stick Dog springs into action. After racing through the woods with his squad of strays, Stick Dog discovers there’s no crisis at all. But there is a great opportunity to feed his hungry friends. As a family of humans plans to feast on tacos, tortilla chips, and guacamole, Stick Dog makes plans of his own. To feed Mutt, Karen, Poo-Poo, and Stripes, he’ll need all his smarts and problem-solving skills. While his hungry, drooling, goofy friends prepare to chow down, something nags Stick Dog at the edge of his mind. What is that thing swinging in a tree? And how can he get it? If this funny, madcap, daring quest succeeds, it’s taco time for these crazy canines!